Microwaves can sometimes heat food unevenly. Use this technique help prevent uneven heating of your food. This is a guide about reheating evenly in a microwave oven. 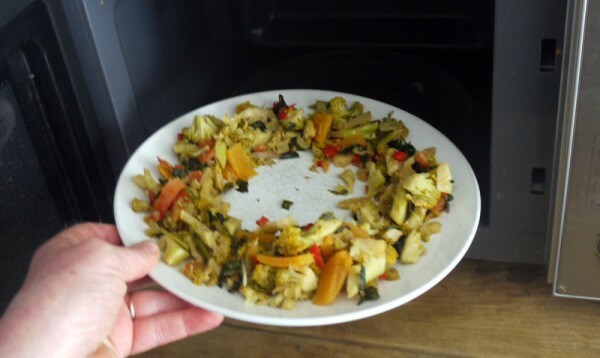 When reheating a meal on a plate in your microwave oven, arrange the food in a ring to help heat it more evenly.